I’ve been going to Mass at least once a week for over 44 years. 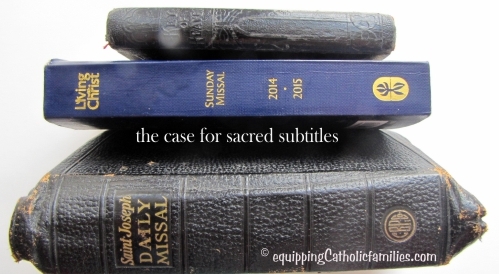 Even with the New Translation of 2011, the text of the Mass is pretty familiar…or is it? The truth is, I don’t always hear the beautiful words of the Mass. It’s true I’m a little hearing impaired, but I think it’s quite possible for most of us to glaze over and not listen intently to the words of the priest. Heck, it seems like sometimes the priest can even glaze over a little bit and speed-read the prayers of the Mass, taking for granted the wisdom and the diligence of our Church to carefully choose these beautiful and meaningful words invoking the Holy Spirit, rounding up the Faithful and transubstantiating the very Body and Blood of Jesus Christ out of mere bread and wine. I don’t want to be negative or critical or judgmental…especially knowing how deeply and how quickly I fall short of virtuous or spiritually-disciplined. But I’d feel better if I had some practical tips to put in place to help me and my family participate more deliberately and consciously in Mass. These aren’t flakey practical tips. These are resolutions to delve in deeper at Mass…starting with me and my family. 2. 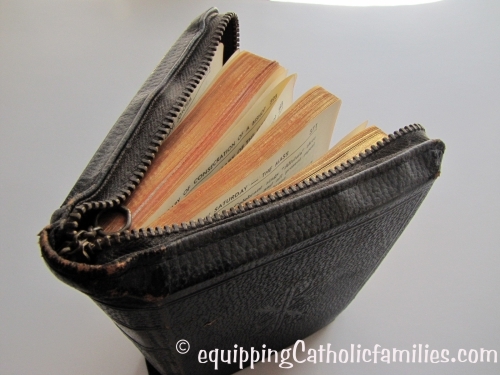 Take a missal and follow along, not just for the readings! 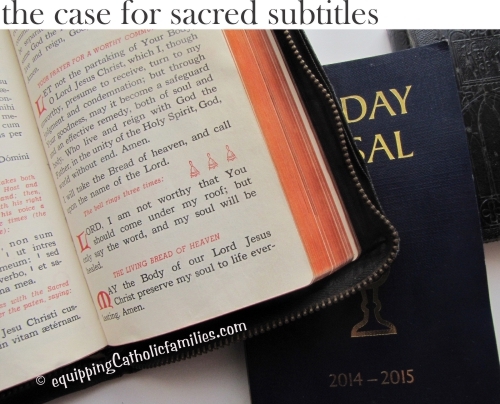 I know that there are a bunch of Eucharistic Prayers and most priests don’t announce which one they’re going to use. I find…even if I bumble along trying to find the right one….the right words end up jumping out at me and help me focus. I am the member of the family who insists on subtitles on even the most familiar family movies. I just don’t want to miss a thing and why should that be any different at Mass? I know these words are familiar….but am I the only one who can focus better with the words right in front of me? 4. Ask questions later. 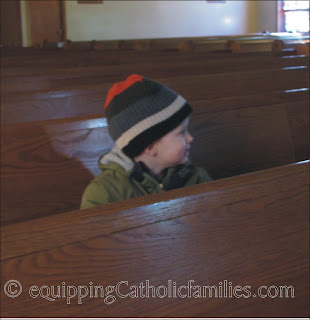 If your kids know that you might ask what the homily …or the first reading or Gospel was about….they may just start to pay attention a little more. 6. 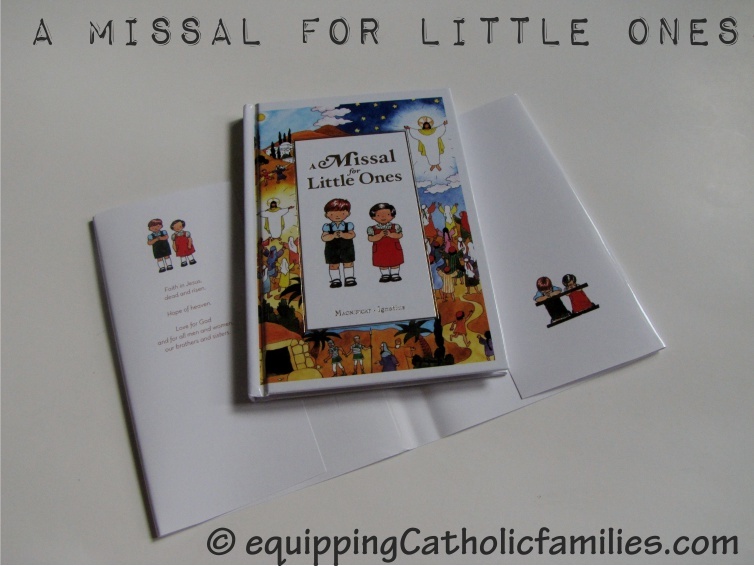 Read some of the Mass prayers, the words of the priest during your own prayer time. You’re not trying to celebrate your own Mass or anything but you might just grow in your appreciation for these beautiful prayers. 7. Go to a High Mass…bring on the incense! Recognize that there is so much more happening than we understand and pray to at least be increasingly aware of that. 8. Yearn for greater reverence. Strive to give God the glory and reverence and awe that He deserves….as much as we can possibly be capable of giving Him. 9. Genuflect deliberately and reverently. 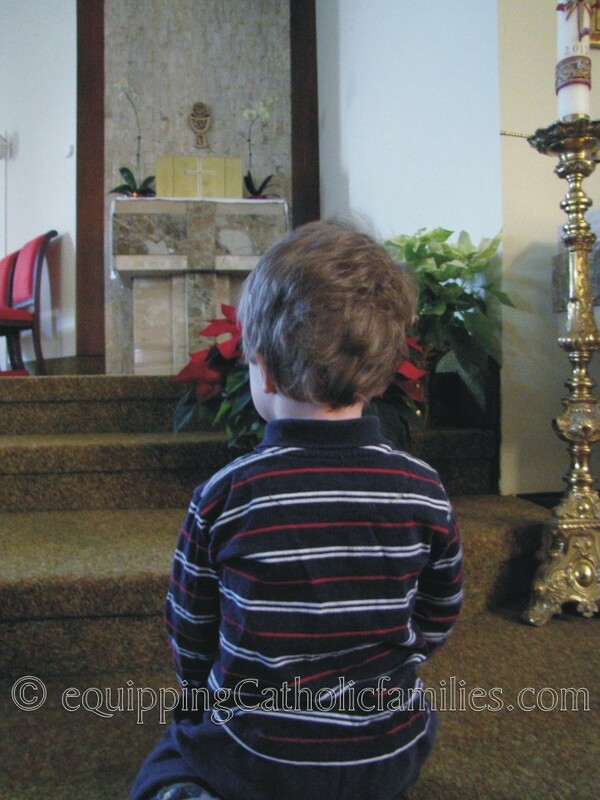 Pray…as focussed as possible, as often as possible, seeking out Adoration wherever available. 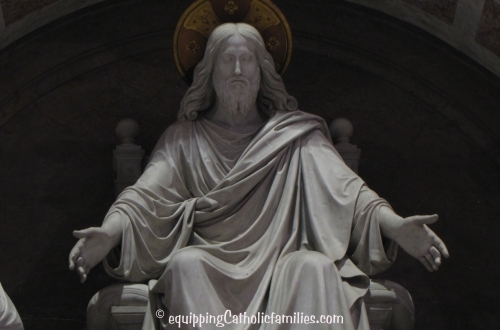 If Jesus were sitting in a chair in front of the Tabernacle…how differently would we behave in church? How eager would we be to attend Mass? How excited and awestruck would we feel every opportunity we had to gaze at Him and feel His Gaze on us? Brilliant Monica! It’s just where I am right now…trying to be more reverent and observant during Mass and during prayer. Well done! What a great set of recommendations! CatholicPhilly is doing a wonderful series of the prayers of the Mass for the Sundays of Lent, which I’m finding is sharpening my ear for the words. Thanks, Michelle! That sounds awesome…do they make anything available online that I can link to?